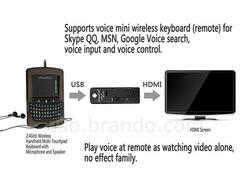 We have introduced a few nice Android mini computers that allow you to enjoy various Android apps on your HDTV, but if you want a more handy control way, the following iPazzPort Android mini PC may be more suitable for you. 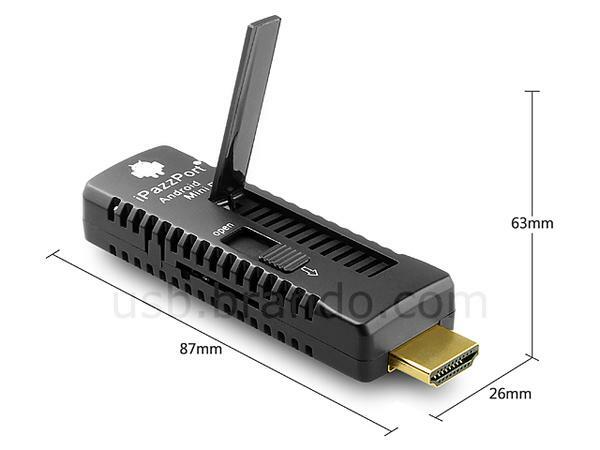 iPazzPort is a thumb-sized mini computer that measures approx 87 x 26 x 63mm and weights 26g. 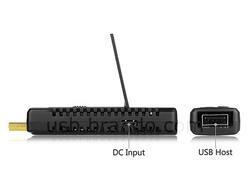 The mini PC runs on Android 4.0 Ice Cream Sandwich mobile operating system, and comes with a 1GHz processor with GPU, 1GB DDR3 RAM, 4GB internal storage, microSD card slot, WiFi, HDMI output, and antenna, moreover, using integrated USB port, you can also connect external hard disk, USB drive and other USB devices, also including the accompanying wireless keyboard with multitouch pad, and the built-in microphone and speaker of the keyboard allow you to control the mini PC via voice including voice control, voice search, voice input and talk. 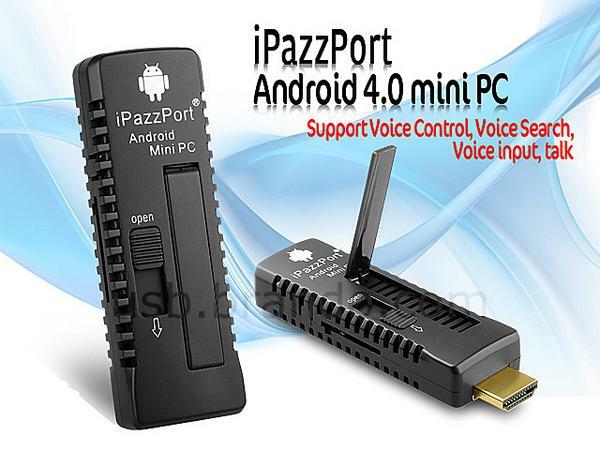 iPazzPort Android mini PC is priced at $60 USD. If you’re interested, jump to Brando online store for more details. 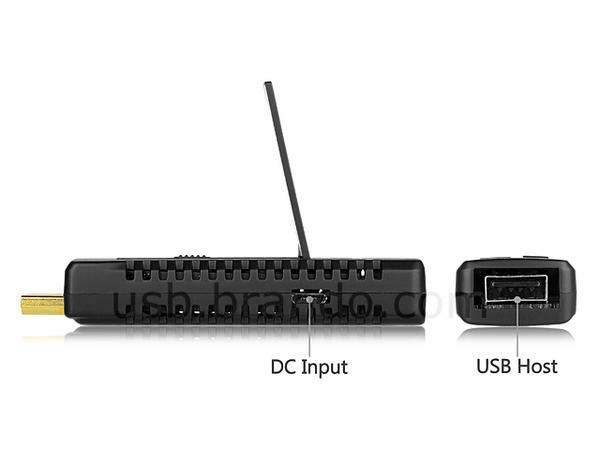 Additionally, if you need other options, you might like to check the dual-core Android mini PC and more via “mini PC” tag. 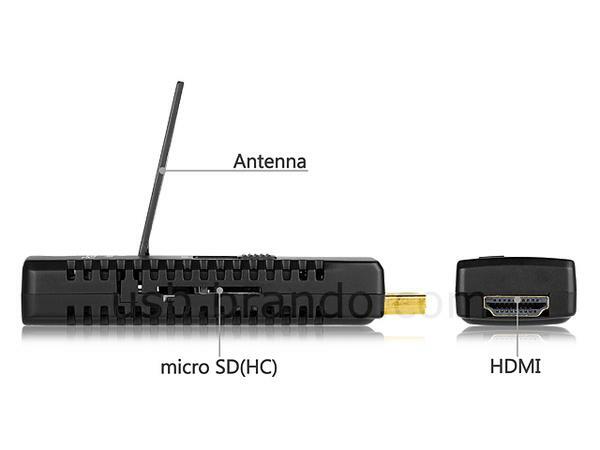 Hi, the Android mini PC costs $60 at Brando.